The SkiWorld Wilder Kaiser is “excellent” in the truest sense of the word – Brixtal has something for every winter sports fan. As the largest interconnect ski area in Austria, everyone gets their moneys worth here, whether beginner, expert, snowboarder, freerider, or cross-country skier, winter hiker or pleasure-seeker. Additionally, the specials and customer service at the INTERSPORT Gschwantler ski rental shop in Brixen im Thale are just as excellent. 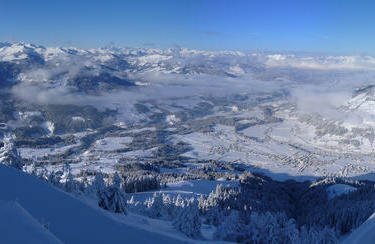 A winter holiday at the SkiWorld Wilder Kaiser – Brixental is like hitting the bull’s-eye. Next to a variety of pistes for all levels of ability, 13 kilometres of night skiing runs, 11 kilometre-long lighted toboggan run and perfectly groomed cross-country trails with wonderful panoramic views invite you experience a winter adventure. If you want to hit the slopes with top equipment, then simply first pick up the newest winter sports gear at the INTERSPORT Gschwantler ski rental shop in Brixen in Thale. Children up to 10 years of age rent free of charge (skis, boots, poles and helmet) when both parents rent skis or snowboards for the same time period. 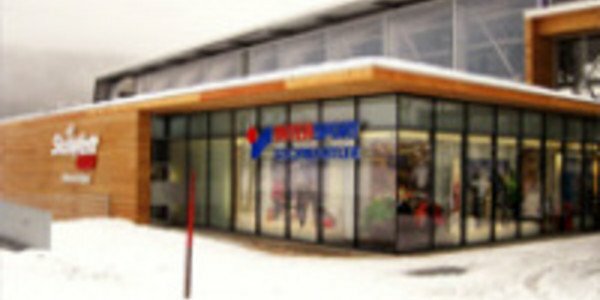 The competent team at the INTERSPORT Gschwantler ski rental shop in Brixen im Thale is happy to answer any questions you may have about winter sports equipment. Of course, you’ll also receive a lot of insider’s tips about the region!